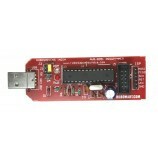 AT89sXX USB programmer (AT89S51) is an in-circuit programmer for 8051 controllers. 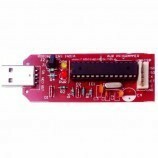 The programmer uses a firmware-only USB driver; no special USB controller is needed. 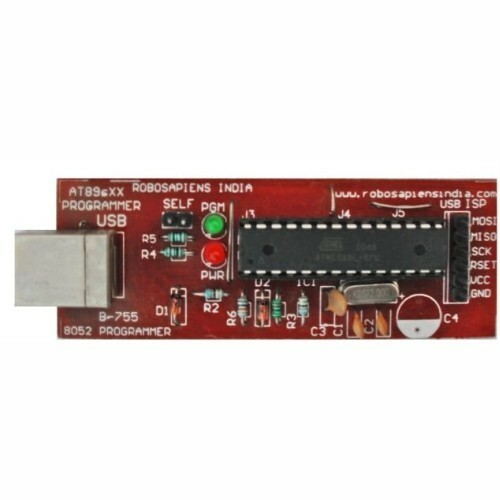 This USB programmer is very easy to use for students that they can directly burn the program easily into the microcontroller by USB cable. 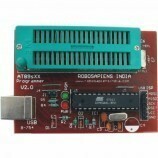 Product Image of AT89SXX USB Programmer. 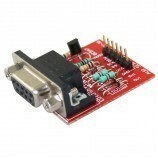 Features of AT89SXX USB Programmer. SCK option to support targets with low clock speed (< 1,5MH). 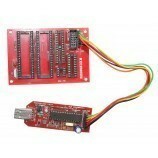 Also Searched as:Atmega8 mini Robotics Development Board V4.0, atmega8 mini board.